(TULSA, Oklahoma) -- Christian pop/rock band Hardie Avenue has teamed up with Pillar frontman Rob Beckley for the new single, "Indestructible" - Available now at iTunes. The track will be part of the band's upcoming album, due later this year. 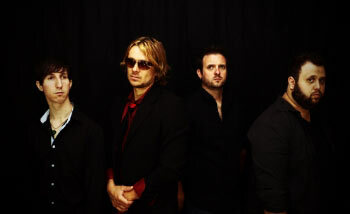 In 2013, Hardie Avenue released their latest album, "Party at the End of the World," via the band's own H. Ave Records with distribution through Elevate Entertainment. The album earned strong reviews, and heavy airplay in many markets from coast to coast. Their latest radio single, "Now I Say," has just been released to radio stations nationwide. "In the last year our band has changed like never before," says frontman Yuriy Mayba. "It is not just the music coming from the stage or just a performance. It is now more about relationship. We are not just playing a concert but we are also sharing who we were and how God has changed our lives. There has never been a time that we did not see someone give his or her life to God, someone healed, someone turned from committing suicide or pulled from depression. We will go on to show the light that God put in our hearts!"